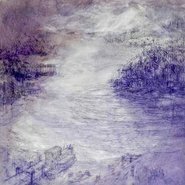 Join popular artist and teacher Juliet Holmes a Court for this landscape drawing workshop. Inspired by the works of Lloyd Rees and Brett Whiteley, you will explore different ways and techniques to capture the feeling of landscape as well as a sense of place. Reference images will be provided but you are invited also to bring your own landscape photos in black and white if you wish. Materials provided. Bring an apron.